Do you want to get simply beautiful Milgard Essence Wood Windows for your house or commercial setting? If so, you should shop from Intex Windows & Doors. With our large selection, excellent customer service, and highly reliable professionals who do the installations, you are not going to want to go elsewhere. Trust in Intex to bring together only the best doors, windows, and their associated hardware into one convenient place. You can shop with ease from the catalog, or by clicking on the categories along the side of the main page. This even may be an enjoyable experience for you, as you can shop from anywhere you would like, as long as you have a reliable Internet connection. You will be able to see glorious color photographs of the products that you would be ordering, including from brands such as Milgard, PRL Glass, and Fleetwood. You are going to love what you find within the catalog. If for some reason we do not have something that is perfect for you, make a request for a customized project. Our specialists will work with you to come up with a design that brings your vision into reality. We hope that you will find our website accessible, and that you can order with ease, but if you do need help you are welcome to call and speak to a representative. We are always ready and willing to assist all of our customers in these endeavors. You can breathe a sigh of relief when you hire the services of Intex, because our technicians are dependable and compassionate. If you want Replacement Windows In Los Angeles, be sure to find out if you will need to have a permit in place before any installations occur. We can help you to determine if this is a necessary step to take where you live, as we have been serving the greater Los Angeles area for many years. When you are in search for Milgard Essence Wood Windows, look to Intex Windows & Doors to make your search go smoothly. You will love how stylish and practical these windows are, bringing a touch of rustic and classic charm to your house or place of business. We sell several of the Milgard series windows, including the Quiet Line and Ultra series. The materials are high grade, including but not limited to vinyl and aluminum. They will accentuate the beauty of your home and are sure to gain you many compliments on your taste. You do not have to spend a small fortune on windows to get great quality – trust the professionals at Intex to give you amazing deals on what you need. You may be in a time crunch for new fixtures. If this is the case, do not hesitate to contact us right away. Someone will come quickly to give you a free estimate, and to get you started on the process as soon as possible. Enjoy the convenience and luxury that comes with shopping from our Glendale based company. Milgard Essence Wood Windows are one of the best series out there on the market. They have a sort of timeless beauty that you just don't see in many window styles today. It can be intimidating to pick out a new set of windows, whether it is for your commercial building or house, but here at Intex we have the know-how and compassion to make it an easier decision on you. Our customer service agents can help you out with any questions that you may have about the products, site, or how to place an order. We pride ourselves on the superior service that we have been able to offer to our customers in Los Angeles and beyond over the past decade. You can learn specifics about how we have served people by reading the testimonials that are right on the website. You should never enter into any purchase for residential and commercial design fixtures blindly, and with Intex you will never need to do so. The shopping process will not be nearly as stressful as when you shop from other companies – in fact, you may find that you are excited to carry out this task in your construction or remodeling project. 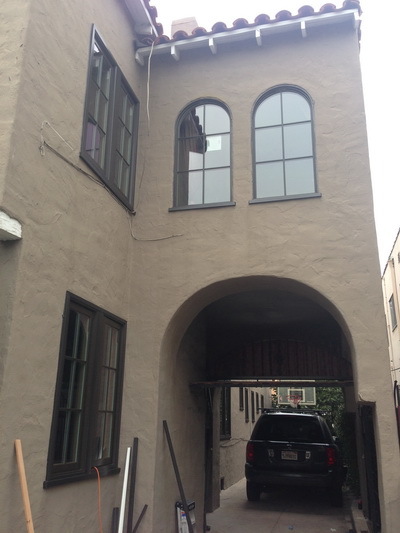 Are you looking to buy Milgard Windows In Toluca Lake? You should know that you can come to a one-stop website in order to find the windows, doors, and hardware that you will need to complete your project. We have various series from Milgard, Fleetwood, and storefront glass fixtures that are designed by PRL Glass to fit your needs. You can rest assured that they are crafted by following the highest standards of craftsmanship by specialists who have been working in the industry for many years. It is well worth it to consult the Intex team about what you are looking for, in case you cannot find it by looking over the catalog. Some windows just don't fit into a typical mold of what you'd normally come across, so you might have to ask for a customized product. Here at Intex, it is our pleasure to work with you to determine a solution that will work for you. Let us know the specifications that you have in mind, and we will do our best to carry out your wishes in a precise manner. Choosing beautiful Milgard Essence Wood Windows does not need to be a headache. Search the options that we have in our selection and you will be pleased by what you find. Your windows are sure to last for a long time, so you can avoid having to go shopping for replacements. Our prices may be reasonable, but no one wants to have to shell out money every few years for something of practical use. The great thing about going through Intex is that you will have the benefit of a warranty, in the event that something happens to your fixtures within a short while of buying them and you are not at fault for what occurred. This is not an option that is granted by many companies, so you are fortunate to have this feature in place. The wood windows that you choose will complement nearly any home, no matter the style of architecture. The fine grain on the Essence series of windows is a wonderful material that will appeal to your aesthetic and give it that traditional feel. Do you want to see if Milgard essence wood windows might be suitable for your house? Intex Windows & Doors has a grand assortment of many window systems from Milgard, including wood, aluminum and vinyl options along with fiberglass in many different styles. We custom design windows to fit each of our customer's needs, depending on the climate in which they live, size, style, and more. 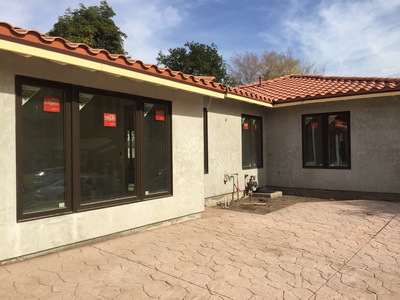 You will love the fact that you can request exactly what you envision and have windows and aluminum storefront doors northridge made to your order. We outfit the home with more than just windows. We have a variety of different doors, for both the interior and exterior and patio doors. The moving glass wall system Sherman oaks is especially impressive. You can choose from several types of wall systems, such as the pocket style that is made from aluminum, wood, and high quality glass. They are simply gorgeous and add a new element of allure to any house. You may select either Douglas Fir or Pine with your choice of Frost, Cinnamon, Dark Bronze or Bark exterior frame options. Enjoy shopping from the catalog online, or you can visit the showroom in Glendale if you wish. People who are unable or do not wish to visit may ask for a representative to go to his or her home and show samples of the materials that we sell. We do provide a free consultation so you can talk to a specialist and see what we offer and how we conduct our work. Once you decide what Milgard essence wood windows or other products you want and place your order, we will provide one-day installation from our top notch trained window and door technicians. Find out what is so great about Intex and join numerous happy customers.